Istvan Szabo German/Hungarian/Austrian World War II (WWII)-era Nazi acting melodrama about an actor whose popularity soars during the Nazi's rise to power early in WWII. Awarded the Academy Award for Best Foreign Language Film; starring Klaus Maria Brandauer, Krystyna Janda, Ildiko Bansagi, Rolf Hoppe, and Gyorgy Cserhalmi. 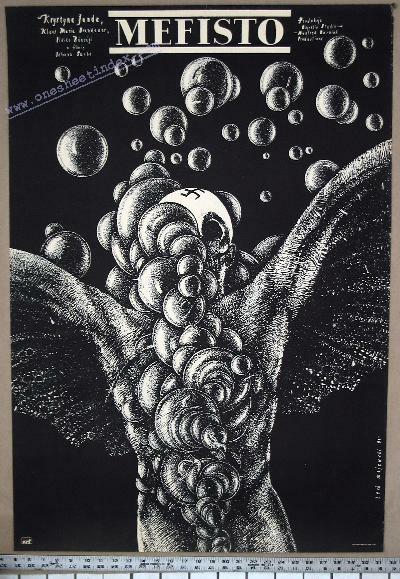 This poster features Lech Mejewski artwork.